Question: Doc, I just saw you for a torn ACL. How long after surgery could I expect to return to all sports? Answer: Anterior cruciate ligament (ACL) tears are one of the most common knee ligaments injured in young athletes, with some studies showing that ACL tears make up 64 percent of all knee injuries in cutting and pivoting sports, such as skiing or soccer. With improved techniques to better place and fix ACL grafts in the knee, surgical outcomes have improved from what they were in the past, and athletic patients are pushing to get back to play as soon as possible. However, studies show that return to playing at the same level after ACL surgery varies from 60-80 percent. Moreover, studies are lacking in defining whether athletes are able to return to the same level of competitive sport compared to before their injury. In order to provide an athlete the best possible chance to return to their same level of sport, a few things are key. First, after tearing one’s ACL, doing rehabilitation prior to surgery is very important. I send my patients for some physical therapy prior to surgery in order to reduce the pain and swelling, restore range of motion to the knee, normalize gait and limit muscle atrophy. If a surgeon does an ACL surgery on a stiff knee, then there is a higher incidence of scarring and loss of motion that may be permanent and affect one’s ability to return to sport, so it is imperative to get good range of motion prior to proceeding with surgery. In surgery, it is critical to place the ACL exactly where the ACL once attached to the femur and tibia in the knee. For this reason, I do not use a set guide to accomplish this, as every knee is a little different. Instead, I inspect the patient’s “footprint” or insertion point of their ACL and place the ACL graft exactly in these footprints on the femur and the tibia. As for graft choices, in young patients who participate in cutting and pivoting sports, I highly recommend using autograft tendons, or tendons from the patient. In this population, there is a much higher failure rate when allograft or donor tendons are utilized. For instance, in one study of military cadets undergoing ACL reconstruction surgery, there was a 33 percent re-tear rate with allograft compared to a 6 percent re-tear rate for autograft. Good autograft choices include using two of the patient’s hamstring tendons, or the central portion of the patient’s quadriceps or patellar tendon. Good rehabilitation after ACL reconstruction is paramount to successfully returning to play at the same level as before one’s injury. I utilize an accelerated rehabilitation protocol after a patient of mine undergoes ACL reconstruction surgery. Most athletes are able to return to unrestricted cutting and pivoting sports at nine months, but some can resume these activities sooner and some later than this based on strength and endurance. There are some objective tests that are helpful in determining if a patient is able to return to play at eight or nine months. These include various single-leg hop tests and peak torque testing on strength machines. Bracing after ACL reconstruction surgery is controversial. Based on current evidence, I recommend bracing for at least the first season back to cutting and pivoting sports, especially for skiing. Unfortunately, one can still tear their normal or reconstructed ACL even when wearing a brace. 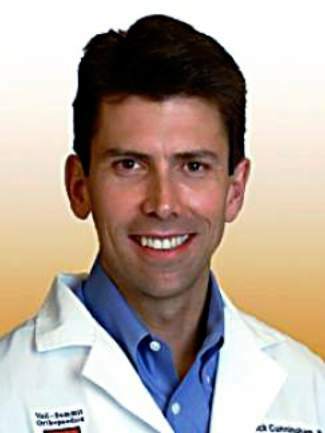 Dr. Rick Cunningham is a knee and shoulder sports medicine specialist with Vail-Summit Orthopaedics and a physician for the U.S. Ski Team. Do you have a sports medicine question you’d like him to answer in this column? Visit his website at http://www.vailknee.com to submit your topic idea. For more information about Vail-Summit Orthopaedics, visit http://www.vsortho.com.